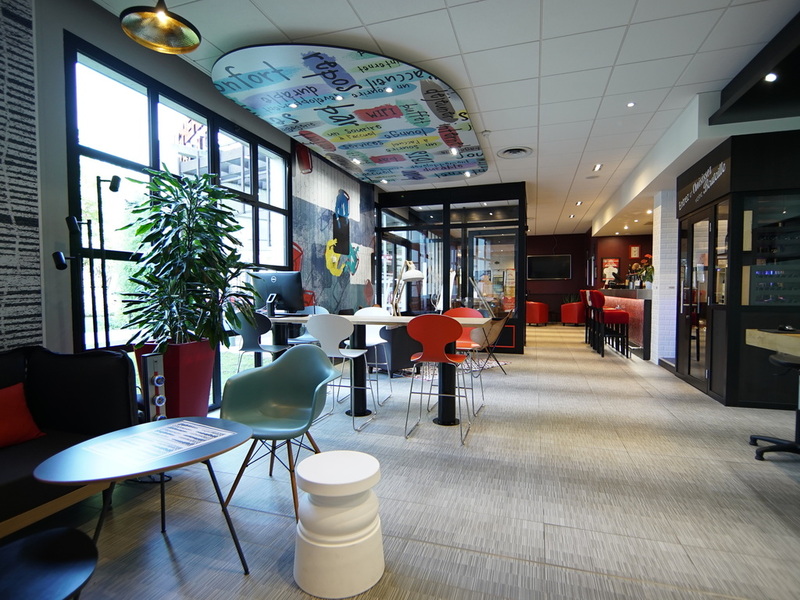 The entire team at the ibis Villepinte Parc Expos hotel wishes you a warm welcome. Ready to serve you round-the-clock, our team will ensure that you enjoy your stay. An event at the exhibition center? A stop off on the way to Roissy airport? Look no further than the ibis Villepinte Parc des Expositions! The attentive team will ensure you enjoy a pleasant, restful stay. You can enjoy its recently renovated rooms and fr ee WIFI connection. And that's not all... At the ibis Villepinte hotel, you can also enjoy a delicious meal on a beautiful terrace. The flavors on offer at the "La Boucherie" restaurant will delight your taste buds. See you soon! 9.3 miles from Parc Astérix, 9.3 miles from the Grand Stade, 1.2 miles from the Carole race track and 15.5 miles from Disneyland Paris.